Good morning ScraPerfect Fans, Kim here with my next DT project. 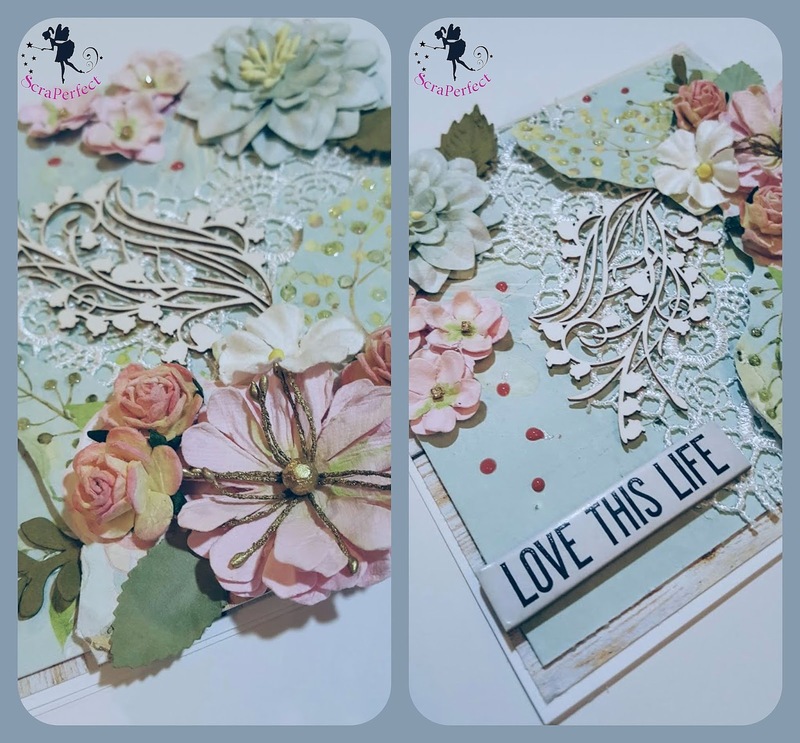 This time I have created a vintage inspired mixed media tag, which is also done with some upcycling! I used some old packaging from Prima for the base of my tag. 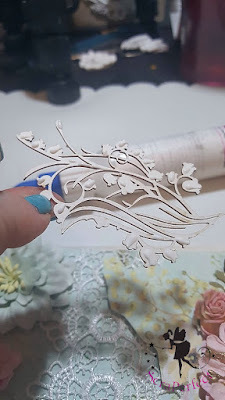 The packaging is sturdy cardboard and makes a great base for adding layers, paint and embellishments. 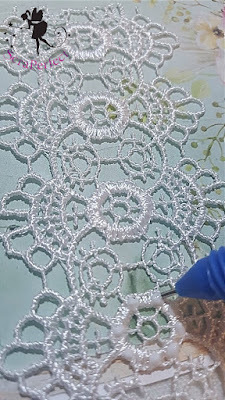 I layered some vintage book paper, fabric and lace on my tag, and used The Best Glue Ever to hold it all down. Of course I used my No Clog Writing Cap which is always on my glue bottle! I added a Tim Holtz Paper doll and some Wings from his Botanical set behind her for a whimsical look. The Paris Tag has been coffee dyed, as well as the fabric I used to make my flowers I added to the base of the tag. 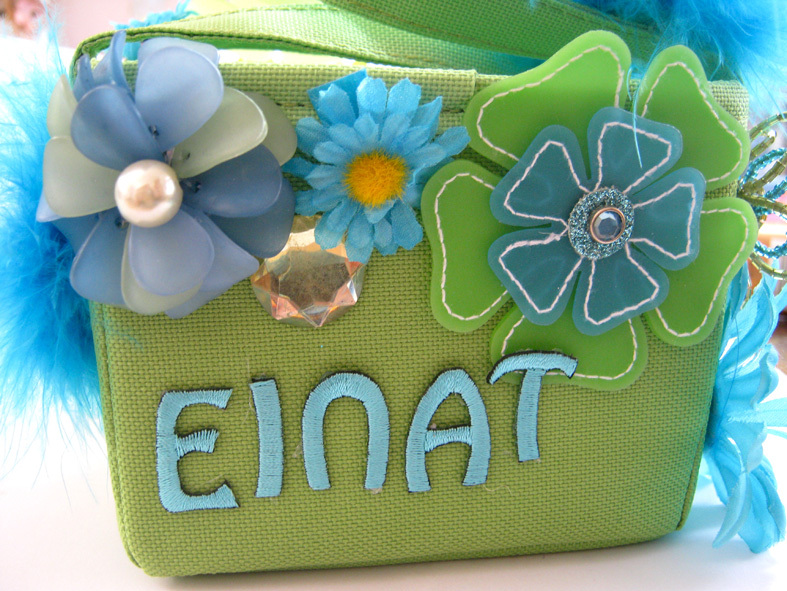 I added some blue bling and a doily as well as some white paint splatters to finish off the tag. I hope you like my project today, don't forget to check out ScraPerfect! Thanks for stopping by today, I hope you have found some inspiration here today. Once I removed the foil, I repeated in spots where I wanted more. This was only necessary on the teal part, since I did not have a full sheet of foil. Because I used a textured cardstock, I ended up with a distressed look to the foiling. I love it! I love how shiny and distressed it looks! I always had different kinds of glue for different kinds of materials an projects, until I tried The Best Glue Ever. It simply works with every material you can imagine. It's strong, transparent and never clogs! 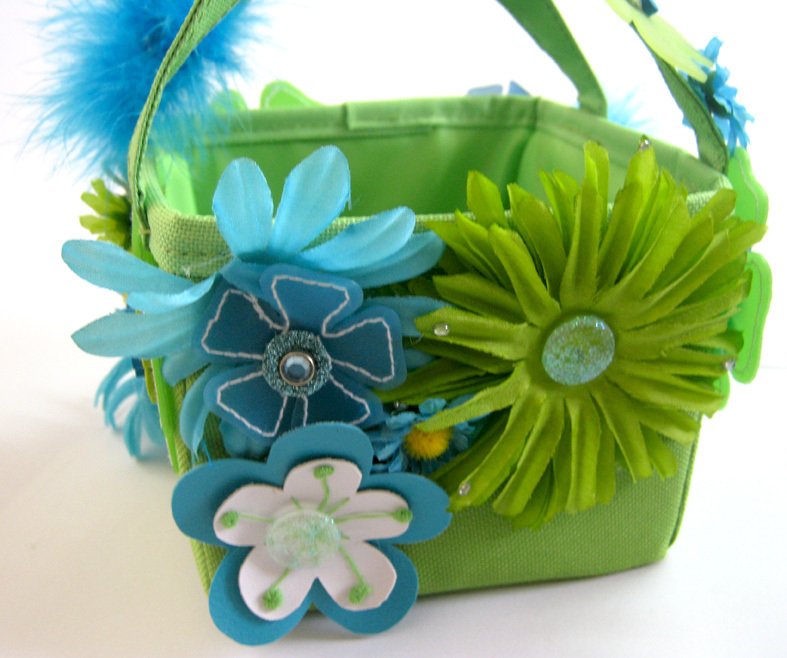 I embellished this tote using The Best Glue Ever to adhere all my embellishments. 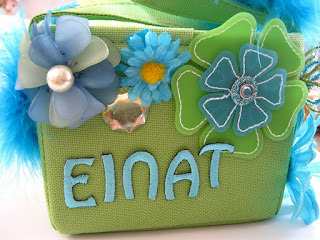 There are many kinds of materials in this project: fabric, plastic, paper, leather, feather, felt and glass. The Best Glue Ever had no problem gluing them all to the tote! 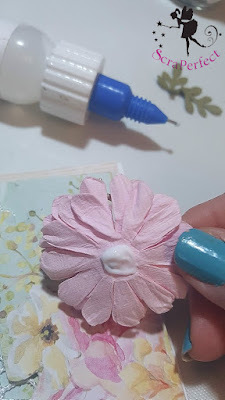 I even created glue dots by making small dots of glue on a sticker backing paper and using them to adhere the small beads and flower centers. Best Glue Ever along with a No-Clog Writing Cap. For my card, I chose a 6x6 square base. I then cut the first layered of printed cardstock to a 5x5 square, followed by the next square layer, cut to a 4x4 square. Next I used Double Sided Foam Adhesive Squares, secured each using the Best Glue Ever, and added the main layers of the card together. I fussy cut the vine from the patterned paper and secured it in then same manner, adding an additional layer and point of interest to my card. The following layers, consisted of adding lace, flowers & floral designed chipboard. 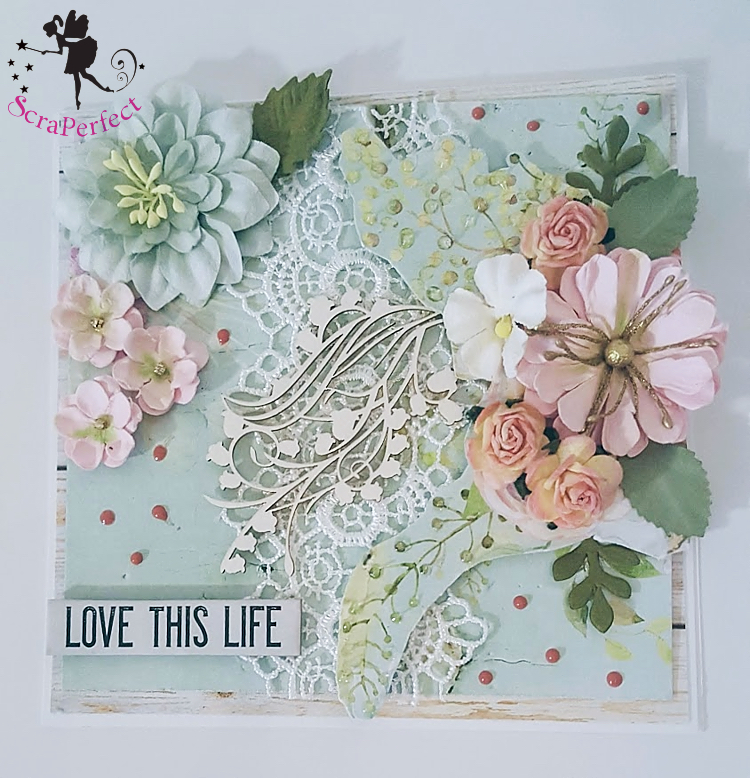 The results in using Best Glue and the No-Clog Writing Cap, made absolute perfection of the layers on the finished card design. Thanks so much for your visit today. 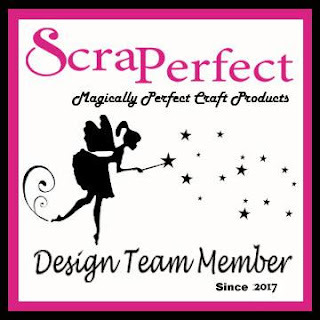 While you are here, be sure to check out the variety of projects in the galleries, created by the talented ScraPerfect Design Team, using innovative products from the ScraPerfect product family! 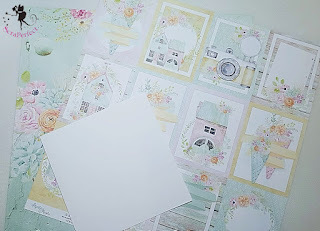 Amy Here, with a card making video tutorial! 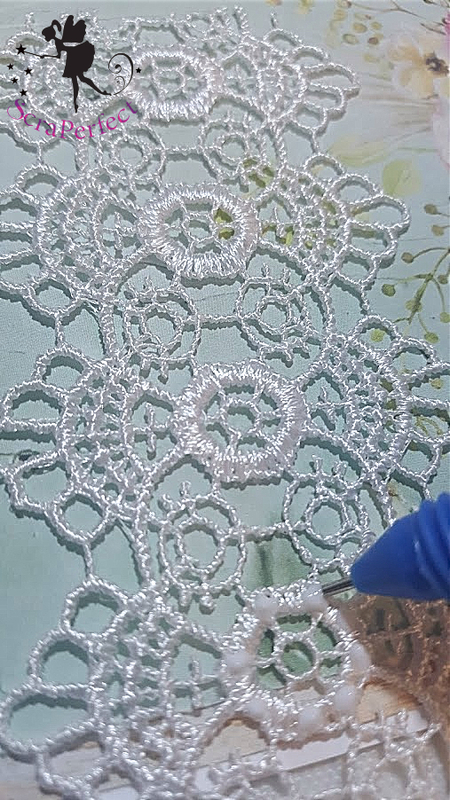 Learn to make little printed tags on your computer, how to adhere acetate invisibly with the Best Glue Ever, find cool images without buying a stamp, and about a fantastic recycled alternative to foam tape. Quick. Easy. Cheap and just brilliant! Good morning fellow crafters Penny here today to show you the two page pre-made layout I made for a sister. For page one, I used several different shades of purple, and a floral purple/ Purple being my mother's favorite color since these layouts will be going in her scrapbook. This page included several items that the glue had previously failed on them from when they had been purchased including the buttons, and paper flowers. It also included some hard to stick super think twill type ribbon, and some purple bling strips without any previous glue at all applied to the back of the strip. Keep scrolling for page 2. In order to correct these issues I had to reapply or apply for the first time a better, and stronger glue. That is when I reached for the Best Glue Ever by ScraPerfect. This glue with the added No clog writing caps was the perfect solution for all the the gluing needs for these embellishments and paper. You will notice it also included more of the twill ribbon, assorted bling / gems, and a selection of quotes and journaling areas. 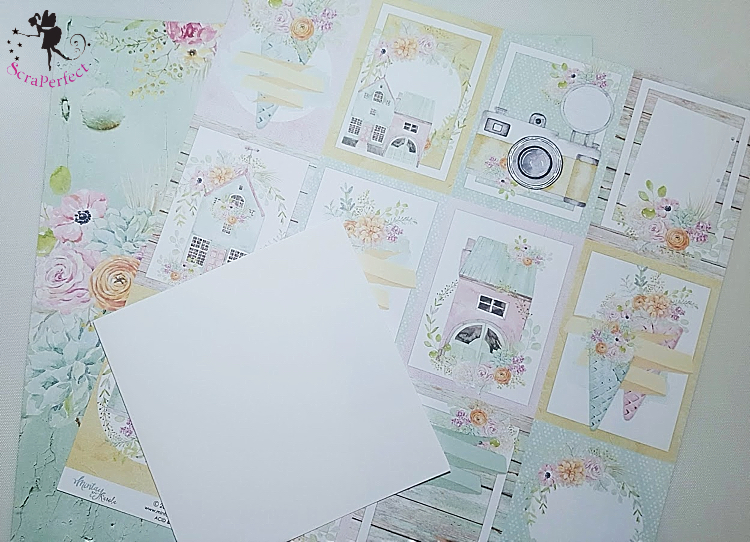 These layouts were super easy, and would be easy to remake for your beloved sister as well. For the large photo frame on this page, I only glued 3 sides of the photo mat so that it would be possible to slip a photo behind the photo mat. Super easy, but cute tip. 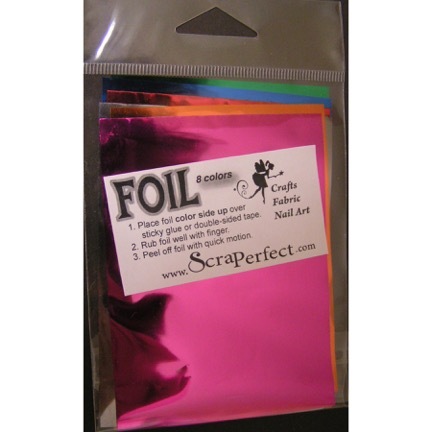 Hi everyone, Ginny here, today I am making a card using foil and texture - without a laminator. I love the look of foil on cards and am enjoying exploring this medium. 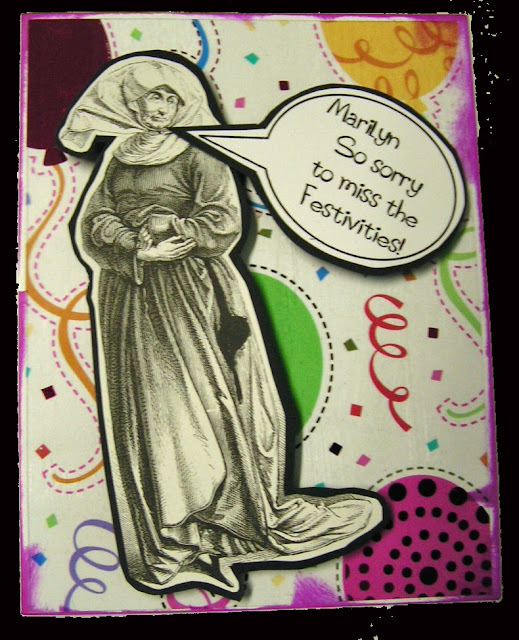 But I'm pretty lazy as a card maker and I don't want to purchase a machine or use my laminator to do the foiling. I am more than willing to use what I have on hand and that seems to be working very well.